﻿	What’s your cause’s ice bucket challenge? 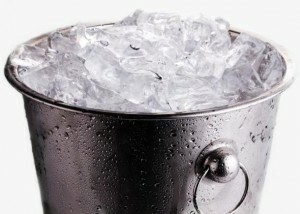 What’s your cause’s ice bucket challenge? If you’re anywhere on social media, you (or someone you know) has likely done the ice bucket challenge. Originally started as a way to challenge people to support their favorite charity, it has evolved into a fundraising phenomenon that has contributed over $41.8 million to the ALS Association. What a way to shout out what you care about! So my challenge for all of you is this: what’s your cause’s ice bucket challenge? Supporting ALS awareness is a great cause to back. Also referred to as Lou Gehrig’s disease, ALS is a progressive neurodegenerative disease that affects nerve cells in the brain and the spinal cord. While there is currently no cure for ALS, doctors and researchers have found some treatments and therapies that may help to slow the progression of the disease. Still, for the 30,000 or so people living with ALS, the effects are life altering and debilitating. Until this past month, most people may have heard of ALS but didn’t really understand what it was. That has certainly changed. The result of one man’s charitable choice from a fun viral challenge has been outstanding. I’m sure he never imagined it would get this much attention. So what can YOU do to do the same for your favorite cause? What’s your cause’s ice bucket challenge? That’s what a little girl named Mackenzie asked her mom and dad. She has Langerhans Cell Histiocytosis like my son and is challenging people to take the “pie in the face” challenge and make a donation to the Histiocytosis Association. I will most likely be doing this with the ice bucket challenge this weekend (the two seem to compliment each other well). 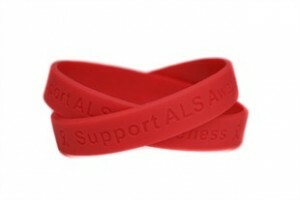 Our red “Support ALS Awareness” wristbands are made of seamless 100% silicone rubber. Single wristbands start at $2.50 each with volume pricing as low as $0.69 each. Every $20 you spend at SupportStore will earn you a $1 Cash for Causes reward that you can donate to select charities including the ALS Association. You don’t have to get fancy with your methods of drawing awareness, just be creative and be loud enough for others to hear you shout out. The ice bucket challenge has taken off like this because it’s easy enough for anyone to do and it’s fun. Post your message on YouTube or Facebook or Twitter or Instagram or Pinterest or all of them! There are many platforms for people to get their message out and be heard. Take advantage of every outlet you can. And remember, originally, the ice bucket challenge was a creative way to motivate others to do something fun that would translate into an act of generosity and shine a spotlight on a greater cause. Isn’t that what awareness is all about? And don’t forget to tell us! 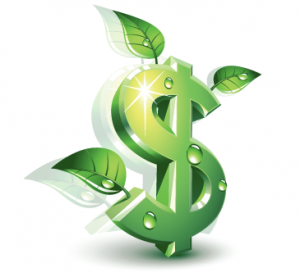 We LOVE to hear what our customers do to gain awareness for their favorite causes, especially when using our products. Share your shout outs with us on Facebook, Twitter (@SupportStorePwP), Instagram (@SupportStore), Pinterest, or hashtag your post on any of these platforms with #supportstore. Every dollar you spend on SupportStore products automatically earns you points that convert to Cash for Causes or discount rewards. Earn more points by submitting product reviews. You’ll be ready to make your first donation with just four product reviews!